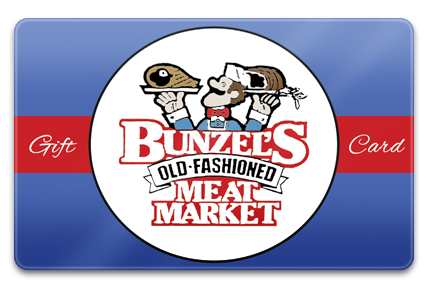 Bunzel's Gift Cards can be purchased at the cash registers inside our meat market. Please look below for options to purchase our gift cards online. 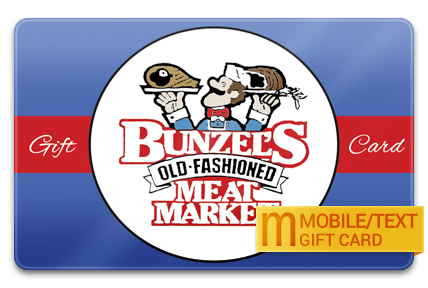 If you have questions regarding ordering the gift cards online please call the gift card company at (888) 494-9760 or use the email option in the gray header above under 'Contact Us'.